Chinese manned spaceplane. Study late 1970s. 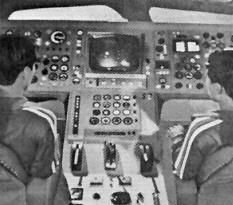 Tsien Hsue-shen's manned spacecraft design proposed in the late 1970's was a winged spaceplane, launched by a CZ-2 core booster with two large strap-on boosters. Status: Study 1970. Gross mass: 7,800 kg (17,100 lb). Height: 13.00 m (42.00 ft). Span: 6.00 m (19.60 ft). It so strongly resembled the cancelled US Dynasoar of 15 years earlier that US intelligence analysts wondered if it wasn't based on declassified Dynasoar technical information. It would seem that this was to be preceded by a simpler manned capsule. No Chinese source has documented this design - however its existence was confirmed by US intelligence sources. 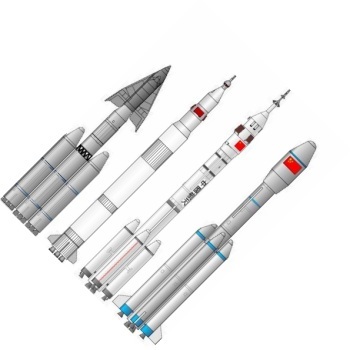 Family: Chinese Manned Spacecraft, Spaceplane. Country: China. Bibliography: 425.